The world just saw one of the most historic moments go by, and it was in the form of automotive bliss. 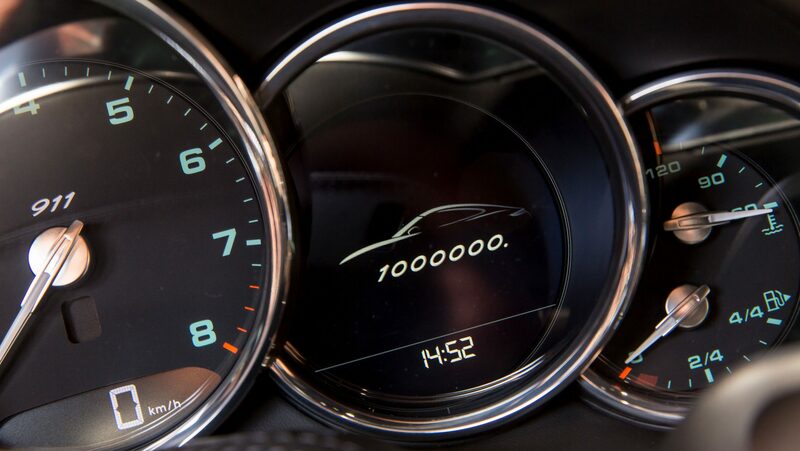 That’s right, the one-millionth Porsche 911 was just built. 54 years ago! 54 years ago the first 911 rolled off of the assembly line. At the time I doubt anyone would have thought it would make still be around 54 years later, let alone hitting the historic 1-million mark. That is a mark reached by very few cars ever, let alone a high-end performance car. Yet here we are, after many years spent perfecting the design, the magic 1 million. And the biggest kicker of all? You will never own it. And not just you, anyone. Porsche will be putting this one on tour and then directly into the museum. 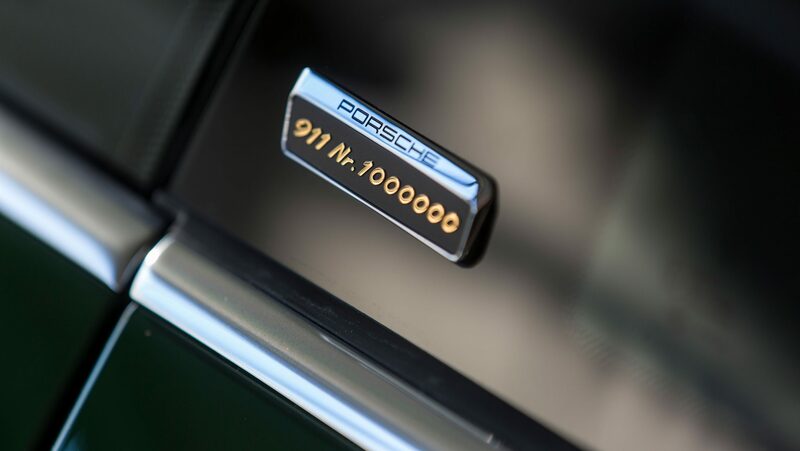 The 1mill 911 is the ultimate tribute to that of the first 1963 911. Its finished in the very same Irish Green. The seats are wrapped in a marvelous houndstooth, which I had to google to find out what houndstooth actually is. Don’t worry, it’s not from our beloved pet’s teeth. Its actually “a duotone textile pattern characterized by broken checks or abstract four-pointed shapes, often in black and white.” Thanks Wikipedia. Regardless of what the pattern is called, it’s a fantastic touch that is wonderful to look at. 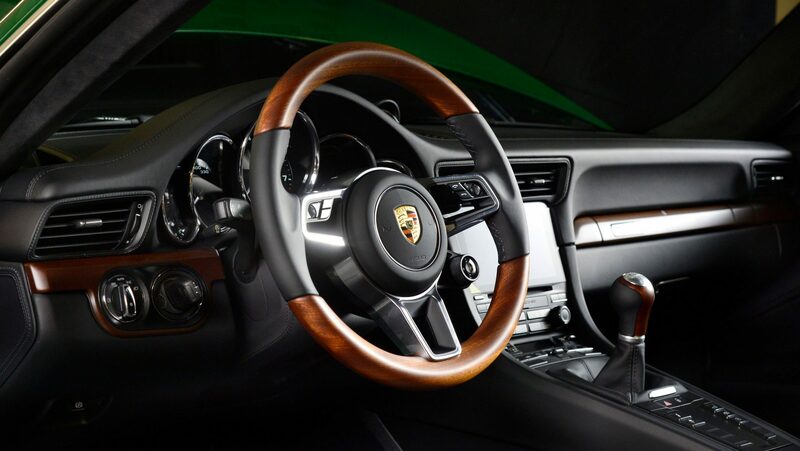 The 1-mill 911 also has a wood grain steering wheel and shift knob, which don’t usually blend with modern cars, but in this case, Porsche pulled it off. The 1-million also has specialty placards throughout the car, in case you forgot that it was special or something. 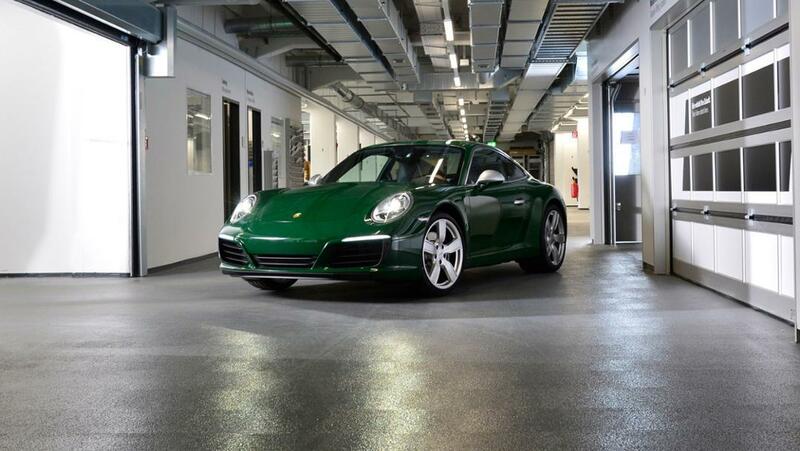 Besides these subtle treatments this 911 doesn’t look too out of the ordinary. Which is possibly the best part about it. They didn’t go crazy and make the entire year special editions because of this one single car. They didn’t stray away from what got them to a million 911’s in the first place. This car walks the 911 line just like every single one before it, and that my friends is the single reason it even exists. A million 911’s in the book and still ticking, I can not wait to see what they can do over the next 54 years.